Skip DuCharme's life changed the day he and his brother walked into an Austin coffee shop and were hit with the smell of coffee being roasted in house. 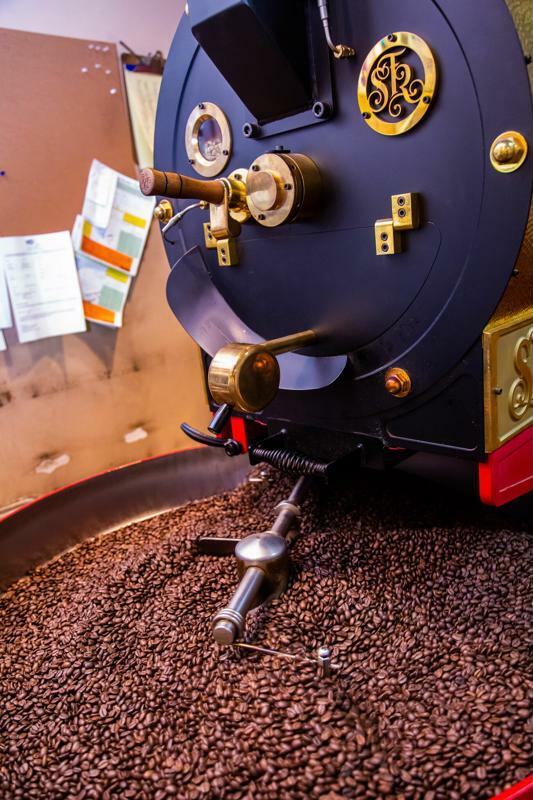 "It was a game changer for hi to sit there and see them roasting coffee instead of just making coffee," says his son, Andrew DuCharme. "He knew he was done with the corporate life, and he wanted to open a coffee shop." Skip traveled the country, visiting coffee shops and searching for the perfect city to start his own roastery. Only the best coffee would do. "He was looking for a college town," Andrew says. "Columbia, with its health care system, with the university, he could see that the town was going to continue to grow, and he was right." In 1992, Skip moved his family to Columbia. 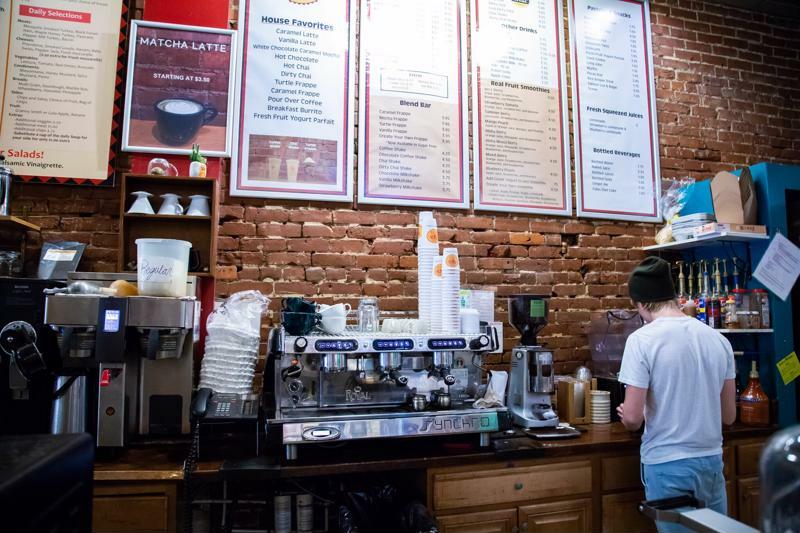 Lakota Coffee Co. opened on Ninth Street, where it has been ever since. Andrew was 7 years old when the roastery opened. He's now the general manager and part owner of Lakota, but his childhood career aspirations didn't involve joining the family business. "I believed I was going to be on the PGA Tour, playing golf, winning the U.S. Open and the Masters every year," he says. Beginning in his college years, though, Andrew was drawn to coffee — and to the spirit of his father's company. "When you walk in, the chairs are hand-carved—you can sit there comfortably for hours," he explains. "We have a wide range of clientele. We get white collar, blue collar, students, retirees ... and we hopefully always have a happy, smiling staff." 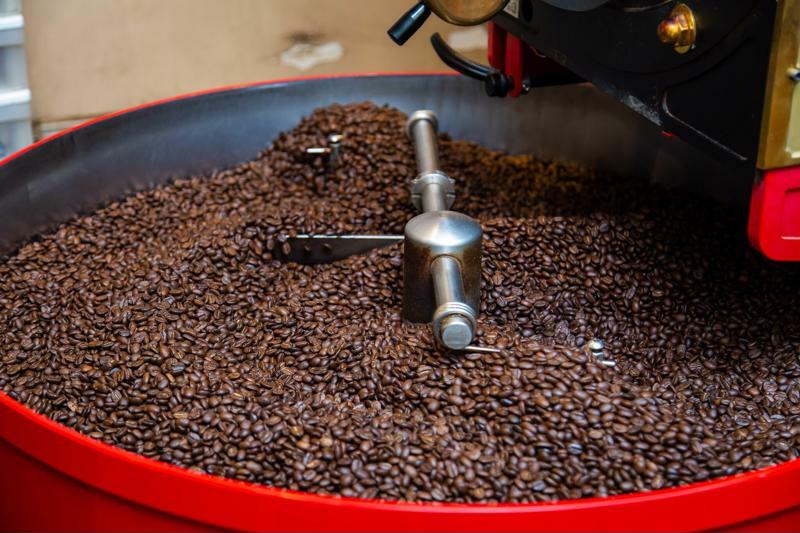 Lakota Coffee is more than just coffee. The community-centric spirit of the company is evinced by its name, inspired by one of the tribes of the Great Sioux Nation. Lakota means "friendly people." From the original 1920s-era brick walls and hardwood plank floors to the handcrafted Old Hickory chairs, bar stools, and rockers, each aspect of Lakota Coffee's ambience is as deliberate a choice as Skip's careful decision to set up shop in Columbia. "We want you to have an experience in addition to your morning brew," Andrew says. Choosing a bank was a deliberate process, too, and, as always, it had to do with building community. "My dad has had a checking account with Landmark since the day we opened," Andrew says, and Lakota Coffee has transitioned more of its banking services to Landmark over the past year. "It makes sense for us to be centrally located with a downtown bank." Landmark's rewards credit card has had a huge impact on the way Andrew handles business expenses. Ready for business with Landmark Bank support. "It's been amazing," he says. "I've switched every expense I possibly can to credit card payments to accrue bonus points. And it's been a huge kickback for the business—it's basically free cash." The card simplifies his job, too. "I don't have to sit down and write checks," he says. "I don't have to set up an ACH. When I order a product, the vendor can run my credit card. They're happy because they get paid faster, I'm happy because I don't have to pay the bills, and on top of that, I get the bonus points back. So it's a win-win-win. It's awesome." Lakota was also the target of a Landmark Bank Cash Mob, with Landmark employees showing up en masse to "mob" Lakota with extra business. Andrew had to bring in extra staff to handle the crowd. "I was out of town that day, but it was a good time to get the texts and see the photos—to see the line of people out the door." According to Andrew, Landmark has shown his family's business the same spirit of friendliness and welcome that Lakota Coffee Co. was founded on. "The sense of mutual support is 125 percent," he says.